In a back-and-forth game five, tiny macro errors made all the difference. 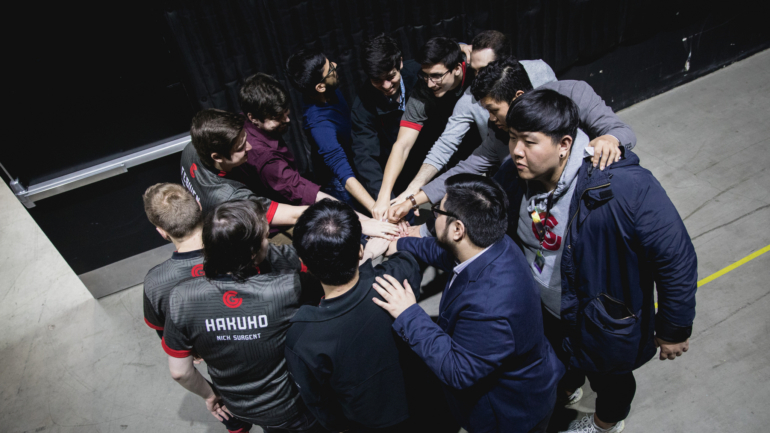 When 100 Thieves beat Clutch Gaming to stamp their ticket into the NA LCS final, the Clutch base was in shambles and everyone was dead. It looked like Clutch had lost some horrible teamfight, and they did—sort of. With multiple inhibitors down, they couldn’t quite find an Orianna Shockwave on 100 Thieves ADC Cody Sun. Cody Sun was his team’s only carry, but with him alive, 100 Thieves walked straight in and broke Clutch’s Nexus. Fans always remember those big plays: the clutch Shockwaves, Ornn ults, and ADC play that decide games. But how 100 Thieves got into that situation where they had inhibs down and supers in every lane is equally important. Look back before the teamfights and objectives like Baron and Elder Drake, and you’ll see a glimpse of the macro strategy that underpins everything. 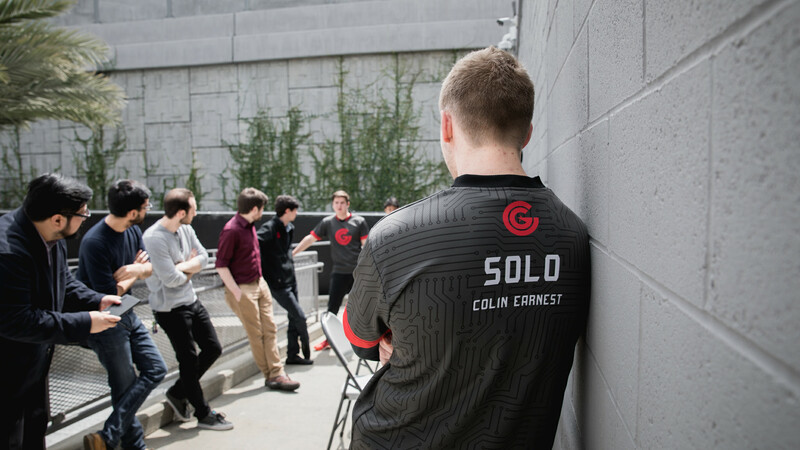 You’ll see how 100 Thieves’ pushing side lanes allowed them to siege, while the basic macro errors we’ve derided Clutch for before finally spelled their doom. Let’s look at three plays that decided Clutch’s fate in that fifth and final game vs. 100 Thieves. 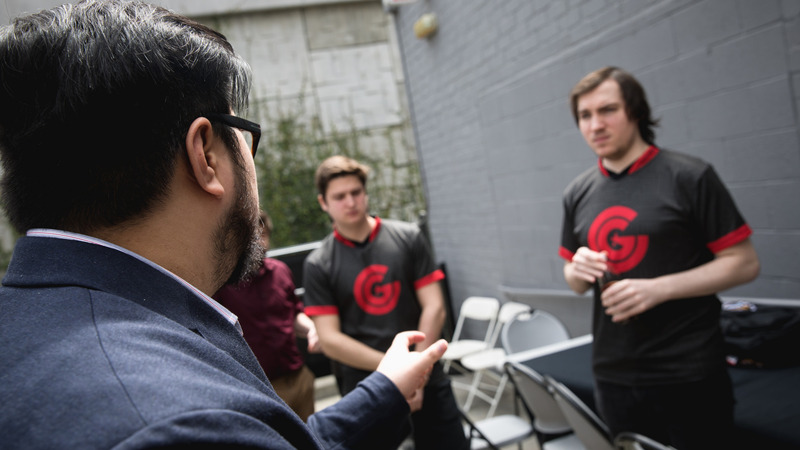 For most of the split, Clutch organized themselves to focus on mid lane priority. That made sense with a mid lane star in Fabian “Febiven” Diepstraten. Their mid lane priority allowed them to beat lesser teams with relative ease. The problem is, against better teams, they continued to tunnel in on this strategy, giving up the side lanes in the process. NA is not a region known for amazing macro—side lane control is lost on all but the best squads. For most of the split, Clutch failed to distinguish themselves in this area and failed to crack into the top tier of true playoff contenders. Their issues didn’t totally go away in last week’s upset win over TSM, and showed up again in multiple games this week vs. 100 Thieves. Clutch would often group around mid lane, depriving themselves of farm while the enemy waves were pushing. In this example, Febiven eventually hit a Shockwave on Meteos to take the dragon. That objective was important, but the cost was high. Both side lanes were pushing, giving 100 Thieves tower pressure, vision, and map control while Clutch lost out on minion gold and experience. 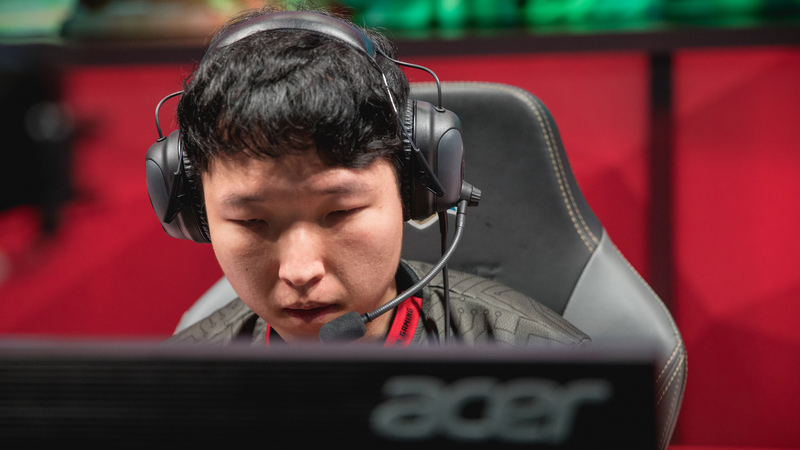 The primary victim was Clutch ADC Apollo Price, who gave up a huge CS deficit to Cody Sun. It didn’t matter too much because both ADCs reached full build in a game that lasted longer than an hour. But with the extra income, Cody Sun could buy and sell Zz’Rot Portals and Banner of Commands without sacrificing damage items. Those are little advantages, but again, the series was close enough that small advantages had big impacts. The most frustrating part of Clutch’s failings is that in some moments, you can see where they’re thinking ahead and setting up the map for objectives they want to control. They are capable of setting up slow pushes and splitting the map, they just don’t do it enough. One of the most basic strategies when it comes to late-game macro revolves around how to control side lanes with minions. Building large waves in the side lane should force an enemy champion to react and kill the wave, giving the team an advantage elsewhere on the map. In 2013, caster and coach Christopher “MonteCristo” Mykles discovered a strategy that he dubbed the sixth-man wave. Teams would freeze, or stall, enemy minions deep in their own territory and then set up a slow push that would accumulate over several wave spawns. This allows allied minions to slowly gather in huge numbers, almost as if the team had a sixth champion pushing on the edges of the map. This is now a staple part of League macro that every good team should know about. That huge minion wave allowed Clutch to congregate around mid lane and contest for Baron without losing anything in the bot lane. Apollo constantly cleared 100 Thieves’ pushing top lane with Ezreal ult, which prevented 100 Thieves from setting up something similar. Eventually, Clutch’s minions got an inhibitor for free. When Febiven stole Baron a few moments later, it could have ended the game. But it didn’t, because Clutch’s team comp and macro issues showed up once again to bite them. After the improbable Baron steal, Clutch wasted nearly one minute of Baron buff recalling and getting back on the map. During that time, 100 Thieves mid laner Yoo “Ryu” Sang-ook pushed out top lane, and they had super minions of their own in the mid lane. This was a tricky siege for Clutch to pull off. The siege was made harder because of Clutch’s team composition, namely an Ezreal playing into a Caitlyn. Even with Baron, they had to macro carefully. One thing they could not do was to run five-vs-five into 100 Thieves. When grouped up, 100 Thieves could protect their Caitlyn with tanks and allow her to wave clear. Unfortunately, all Clutch did was group up. The only hope Clutch had of cracking the base was to usher multiple minion waves powered by Baron. The fact that 100 Thieves had supers in the mid lane made things difficult, but not impossible. But instead of ushering in the bot lane supers and mid lane push to hit the base at the same time, Clutch ping-ponged between the two. To be fair, the siege at that point was difficult to set up. But Clutch weren’t bereft of opportunities. Apollo could have ulted the top wave much earlier than he did to help Febiven push faster. The team could have set up a 4-1 to clear both mid and top simultaneously, while the bot lane supers pushed slowly. None of these were sure things, and 100 Thieves had ways to react. But at the end of the day, the Baron siege ended when Febiven whiffed on an opportunistic Shockwave that failed to push back the 100 Thieves defense. Clutch never got closer to the base than that. Unable to usher any minions into the base, Clutch had to give up on the siege with no inhibitor turrets to their name. As the game grew late, Clutch couldn’t keep up with the power of Cody Sun’s Caitlyn. That’s why he stood triumphant at Clutch’s Nexus. The most common way to take objectives in League is to win fights, and 100 Thieves won enough fights to move on to the final. But they also won more objectives without fighting at all, and that’s the real reason why they’ll play Liquid next Sunday for the NA LCS Spring Split championship.